After purchasing your domain name and setting up web hosting, you probably want to get an email address with your domain name on it. 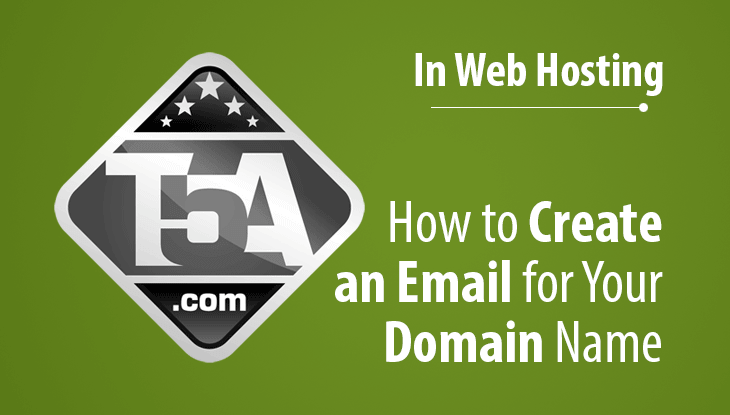 In this guide, we will walk you through the process of setting up your very own email address using your domain name. We’re starting with cPanel because that is the most popular control panel that web hosts use and the highest likelihood that this is the control panel your host is using. After logging in to your control panel, find the Mail section and click the icon highlighted. From there, you should see something similar to the screenshot shown on the right. 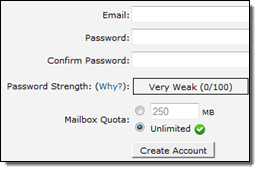 Fill out the front part of your email address, use a highly secure password and consider setting your quote to Unlimited. Click the Create Account button. Done! After your email address is created, you will find an “Access Webmail” that will allow you to read your email right from the web browser. Plesk is another popular control panel that some hosts use. All you need to do is click the Mail tab, click Create E-mail Address and enter your preferred email address information which is just as straight-forward at the cPanel method we showed above. Of course, every host is different and they all customize their control panel with branding and added features. In this example, if you’ve ordered the discount iPage hosting from our review, you’ll find a similar EMAIL section that has an icon called MailCentral which will allow you to configure a new email address on your domain name. Consider using an email client like Mozilla Thunderbird to download your email. This will allow you to access your email from your domain name much more efficiently and you will have less chance of forgetting to check your domain email as part of your regular routine. 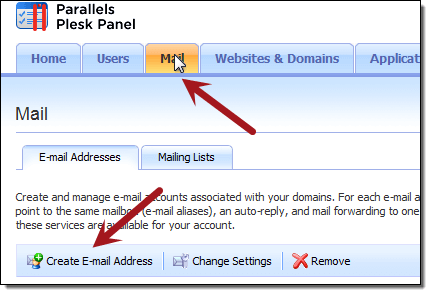 cPanel email configuration in Thunderbird is simple. Add your name, your email address and provide your password you just used in your email. For the most part, Thunderbird will configure all of the settings you need to access your email, hopefully using SSL if your host supports it.